Getting all the features and capabilities you desire in your next new vehicle is easy when you drive with the experts at Wilsonville Jeep RAM! The new RAM models in our lineup offer everything you’ll need to enjoy a more satisfying touring experience wherever you go, and thanks to our new vehicle specials and opportunities, right now is the perfect time to go after the vehicle you’ve always wanted. The new RAM trucks and new RAM vans you’ll find on our lot could keep you happy behind the wheel for years to come, so don’t waste another minute on lackluster competitors. 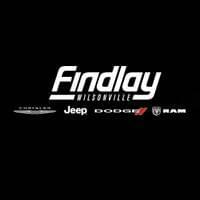 Why Choose Wilsonville Jeep RAM? Whether you’re interested in buying or leasing our new RAM models, you’re sure to find plenty of vehicles that excite you in our lineup. We’re committed to our friends and neighbors here at Wilsonville Jeep RAM, and when you pay us a visit, we’ll do whatever we can to help match you up with the truck or van that you’ve been searching for. We’ll even help you apply for financing through our dealership! If you live near Sherwood, Woodburn, or Wilsonville, contact us today to take one or more of our new vehicles for a test drive.